Back in Scotland: Day 1 and 2. Life of a (former) PA.
What does an Office Manager do? What is that you're doing in London? … when you think that whoever invented Netflix should get an award. To be honest, I joined Netflix a month ago. I was doing just fine without but now I do enjoy it very much. I discovered that I am very interested in life/animals documentaries. Today for example, I spent 45 minutes totally fascinated by “The Secret Life of Babies”. That’s right. And a week ago I was all over the Arctic and some other areas in the world, with species of birds I never thought existed. Now, the real question is, how is it possible the most people I met are so incredibly ignorant? Fine, generalizing is not fair at all. But seriously, we spend most of our times on the web, bombarded with all sort of info and then you get Netflix that allows you to not only watch movies, but get a culture of some sort if you really want to. Please people, this will actually help you having interesting conversation soon enough. This said, I had the busiest 4 weeks of my life at work and I am about to enter another very exciting week. 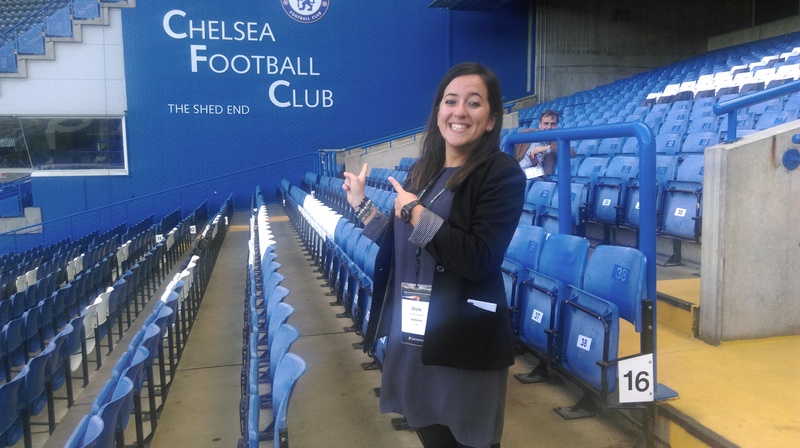 My to do list is simply never ending, specially after the conference we had at Chelsea Football club. Oh yes, and the party on friday night didn’t help… What can you do about it though, we needed to celebrate! Now the autumn is coming (oh well, it has been autumn for the whole summer here in London! ), I can finally put some time into this blog again. I’ve been pretty lazy lately… But stay tuned for more (hopefully exciting news!). Bye from Chelsea Football Club! PreviousNew beginnings and old adventures.